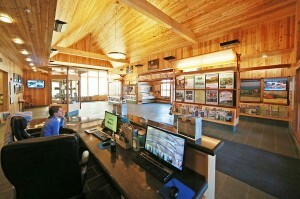 Vermont’s official welcome centers should be your first stop once you enter the Green Mountain State. They are staffed with friendly Vermonters who will assist with reservations, travel information, and directions to help make your visit to Vermont all the more enjoyable. Displays at the centers reveal the surprising range of Vermont-made products, recreational, cultural, agricultural, and natural attractions available in every region of Vermont. Guilford Welcome Center, 802-258-4503, I-91 North – 24 hrs.